Enigmatic speedster Shoaib Akhtar cited his hamstring injury to defend his decision of skipping a practice match to prove his fitness before the tour of India. Sensing that the Pakistan Cricket Board was not happy with his defying the Board instruction to play the match, Shoaib said it was his nagging hamstring injury which forced him to sit out. The Pakistan Cricket Board has delayed by a day the announcement of the 16-member team for the India series to allow foreign trainers to examine the fitness of players including paceman Shoaib Akhtar. The team was earlier scheduled to be named on February 18 but now it will be announced a day later, the PCB said today. In a new twist to the controversy surrounding the selection of Ahmedabad as a venue for the upcoming series between India and Pakistan, the International Cricket Council today said Pakistan has the "right to refuse a particular venue on security grounds". Aiming to bring Himachal on the international cricket map by hosting a three-day match between the Pakistan team and President Board XI at Dharamshala, the Himachal Pradesh Cricket Association is hopeful that the close proximity to Wagha and scenic beauty of the venue will attract cricket fans from across the border in large numbers. A lot of sheen has been taken away from the Duleep Trophy cricket match between East Zone and Central Zone starting here tomorrow with skipper Sourav Ganguly being ruled out of the four-day tie. South African-born Kevin Pietersen’s outstanding batting in England’s one-day series defeat to South Africa has brought him in the reckoning for the Ashes series with Australia. 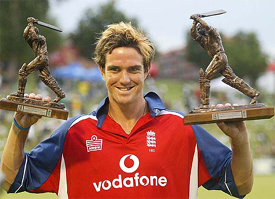 England cricketer Kevin Pietersen holds the Man of the Match and Series trophies after South Africa won the ODI series against England in Pretoria, South Africa, on Sunday. Ushering a new chapter in the history of Indian hockey, the Premier Hockey League ended in glory for Hyderabad Sultans last night, but the month-long sporting event has thrown up certain issues, technical and otherwise, for debate. Sania Mirza, who won her maiden WTA title in Hyderabad, broke into the top hundred in the world ranking released by the Women's Tennis Association today. Sania, who was 134th last week, jumped 35 places to 99th in the latest world rankings. Australia will play its Fed Cup qualifying matches against India in April without its top-ranked player Alicia Molik, Tennis Australia said today. World number three Andy Roddick successfully defended his San Jose Open title by destroying unseeded Frenchman Cyril Saulnier 6-0, 6-4 in the final. Mahindra United today came back from a goal down to hold JCT Phagwara 1-1 in their National Football League match at the Cooperage stadium here today. Amateur golfers from all over the country will converge on the lush course of the Chandigarh Golf Club where the Royal Challenge Samarvir Sahi Amateur Golf Tournament will be held from February 15 to 18. Enigmatic speedster Shoaib Akhtar cited his hamstring injury to defend his decision of skipping a practice match to prove his fitness before the tour of India. Sensing that the Pakistan Cricket Board (PCB) was not happy with his defying the Board instruction to play the match, Shoaib said it was his nagging hamstring injury which forced him to sit out. Earlier, the PCB had instructed him to prove his match fitness and made it clear that he can expect a berth in the team only if he was fully fit. ''...it would have been better if he had played for KRL (Shoaib's departmental team)'' Bari told Dawn. Bari also informed that he had sought proper medical reports about four unfit pacers-- Shoaib, Mohammad Sami, Mohammad Khalil and Shabbir Ahmed. He also opined that Shoaib should report to the recently formed medical commission instead of consulting his private physician. ISLAMABAD: Pakistan’s Chief Selector Wasim Bari has said he would be completely clueless on Shoaib Akhtar’s fitness level when he considers players for selection for the upcoming tour of India following the paceman’s refusal to play in the Patron’s Trophy. The second round of the tournament was the only chance to examine the bowler before the selection committee meeting on Friday, the same day when the team of medical experts are to return from holidays, he said. “I have informed the board to provide me proper medical reports about the four unfit pacemen — Shoaib, Mohammad Sami, Mohammad Khalil and Shabbir Ahmed,” Bari was quoted as saying in the Dawn today. “The PCB has formed a medical commission comprising local experts and Shoaib should have appeared before it,” he added. Bari also said the PCB needed to provide him the reports of both coach and manager of the team which toured Australia before the Friday meeting. “All these documents are essential for the guidance of the selection committee,” he said. When asked if the report of the inquiry committee probing Shoaib was also necessary, Bari said though it was not his department, a copy should be sent to the selection committee for more information about the player. The Pakistan Cricket Board has delayed by a day the announcement of the 16-member team for the India series to allow foreign trainers to examine the fitness of players including paceman Shoaib Akhtar. The team was earlier scheduled to be named on February 18 but now it will be announced a day later, the PCB said today. “The foreign trainers — Daryl Lifson and Murray Stevenson — will be available in Lahore on February 19. After taking the fitness tests of the probables, the trainers will report to the selectors who will then decide on the players,” PCB’s Director (Cricket Operation) Saleem Altaf said from Lahore. The PCB-appointed foreign trainers left for private vacations on February 9 and are scheduled to return on February 18. On Shoaib, Altaf said the bowler did not play in the Patron’s Trophy because he “still has niggles in his hamstring” but he would appear before the physical trainers. Altaf, however, dismissed reports that the selection committee meeting had been delayed solely because of Shoaib. Shoaib’s rehabilitation programme, chalked out by Lifson and Stevenson, ends on February 18. "Every country has a right to say no to a venue from the security point of view. But then the case has to be referred to the ICC. But I don't think such a case will arise," ICC President Ehsan Mani told PTI. "ICC can't interfere in the matter suo motu since it's a bilateral matter. I am sure both the boards will resolve this within two to three days." Pakistan has been refusing to play in Ahmedabad, venue for one of the three Tests of the series, on "security grounds". Mani, who is on a "routine" visit to India where he will meet BCCI officials and some of the ICC sponsors during the next couple of days, agreed that the dispute concerning BCCI's telecast rights has come as a dampener with just 10 days to go for the start of the "biggest" cricket series. "Of course this is (a dampener). But the matter is in court and I am not supposed to comment on it. Aiming to bring Himachal on the international cricket map by hosting a three-day match between the Pakistan team and President Board XI at Dharamshala, the Himachal Pradesh Cricket Association (HPCA) is hopeful that the close proximity to Wagha and scenic beauty of the venue will attract cricket fans from across the border in large numbers. "I feel it is not the five star facilities but the scenic setting of the stadium with snow-capped Dhauladhars as the backdrop, which will help make the place an ideal location for international matches," says Mr Anurag Thakur, President of the HPCA. Though lacking any star rating, Snow Hermitage hotel, Asia Health Resorts and the Dhauladhar hotel of HP Tourism Development Corporation have already been booked for the stay of the players and BCCI officials. Even though the final confirmation of the date on which the match will be held shall be made at the meeting of the working committee of the Board of Control for Cricket in India (BCCI) on February 17, the HPCA has been flooded with queries about sale of tickets. Tentatively, the match is slated to begin from February 27. The HPCA will make tickets available to cricket fans at all the district headquarters from February 18 onwards. The Delhi and District Cricket Committee (DDCA) has beefed up the security arrangement in and around the Ferozeshah Kotla stadium here in the wake of Shiv Sena threats to disrupt the proposed fifth India-Pakistan one dayer and said it won’t let any other association hijack the match allotted to it. Around 10 security guards, some armed, have been deployed in all the enclosures, gates and the ground to foil any attempt to vandalise the pitch or the under-construction stadium, DDCA vice-president C.K. Khanna said here today. “We are not taking any chance. We are in regular touch with the Delhi Police and have the full support from them. With the DDCA president Arun Jaitley himself taking all the initiatives, we have a security arrangement in place to ensure smooth completion of the construction and related works,” Mr Khanna told UNI. The DDCA officials today had a meeting with senior police officials who monitored the security arrangement, especially after Shiv Sena’s abortive effort to damage the Punjab Cricket Association pitch at Mohali. After Mohali, Shiv Sena activists had threatened to damage the Green Park Stadium in Kanpur and Ferozeshah Kotla — both proposed one-day international venues — for the three Test and five one dayer series against Pakistan. Earlier last month, Shiv Sena Delhi unit president Jai Bhagwan Goyal threatened in a statement that Sena activists won’t allow the one-day match against Pakistan and foil it “at any cost”. The Shiv Sainiks dug the pitch at Ferozeshah Kotla in 1999 when Pakistan last toured India. Meanwhile, claiming that the under-construction stadium will be ready well before the match, Mr Khanna said that the association won’t sit back and watch the match being shifted to another venue. With the suspense over the Indian captain’s availability finally over, the spotlight will shift on Mohammad Kaif who will be hoping to correct the anomaly of the best batsman in form being out of the Test team. The absence of Ganguly, suffering from a side strain, means vice-captain Laxmi Ratan Shukla would now lead East Zone but it would be his counterpart who will be hogging the limelight. The Uttar Pradesh batsman has been in sublime form throughout this season in both forms of the game. When all his star partners struggled to get going at the start of the season, Kaif scored runs at will. Neither the mid-season break nor the change of scene, from international to domestic, has affected his scoring rate as the wiry 24-year-old led from the front in the Deodhar Trophy limited overs league tournament and then combined with Rahul Dravid to lead India A to thumping win in the NKP Salve Challenger Series. But even Dravid, unlike his junior colleague, had failed to sustain the momentum of the previous season on the international scene. And like Irfan Pathan, the player of the season, Kaif has come like Messiah whenever the team has been in trouble. “We’ll have to sit down and think about the selection and give it a lot of thought, with the Ashes tour coming up this summer,” coach Duncan Fletcher said today. England returned home following a 2-1 Test win and a 4-1 one-day defeat, but the latter saw Pietersen crowned man of the series after blasting South Africa’s bowling, including 108 in Bloemfontein, 100 in East London and 116 in Centurion. “For an individual like that, to bat like that was outstanding,” said Fletcher. Fletcher said Pietersen’s confidence was very important to his success. “You just think how he took on the South African crowd, he took on everyone. He just seems to thrive on that, and that’s a big plus,” Fletcher said. The tall, powerful Pietersen, 24, was educated in South Africa and played against the 1999/2000 English tourists in his debut match for KwaZulu-Natal, batting at number nine and hitting an aggressive 61 not out. He had been picked mainly as an off-spin bowler and took four wickets. Pietersen took advantage of a British passport and qualified for England by playing county cricket for Nottinghamshire, with his batting soon outstripping his bowling. He made his international debut in the one-day series against Zimbabwe last November. Not originally picked for the South Africa leg of the tour, he was added to the current squad following impressive performances in Zimbabwe and faced a hostile crowd every time he went in to bat. SYDNEY: Local bookmakers here believe the Australians have the beating of England in this year’s Ashes series even though there is money coming in for the home side in cricket’s time-honoured contest. While England have been given their best chance in years to win back the Ashes, bookmakers here do not see anything to change their view that it will be Ricky Ponting’s team who will take the honours once again this northern summer. Most of them have Australia at 2-1 on — you have to bet two dollars to get one back — to win the five-match Test series and wrap up a record ninth consecutive Ashes victory. The success of the League, thanks to the 10-year sponsorship by ESPN-Star Sports, mainly drew its strength from the presence of the internationals in the tournament, but the four quarter format, time-outs and selection of teams remain some of the most debated issues. Time-out killed the tempo of the game, contend some of the senior players, as the team under pressure can make use of the provision, while others say it could ease frayed tempers and gives scope for more interaction between the coach and players. Four quarters each of 17.5 minutes did go well with the players and spectators but some senior players feel the shorter version has “some defects”. The most glaring and not-so-impressive decision was that of reduction of players in the extra time. The first half of extra time (7.5 minutes), according to the new format, had only nine players on each side and the teams were reduced to seven players a side during the second half of the extra time. The league proved how difficult it was for the players to wade through the 100/60 yard turf from flank to flank during the 15 minutes of extra-time. There were a couple of golden goals in the first half of extra time but that did not improve things with a depleted side playing in the extra-time. Selection of players and grouping them into teams has been one more topic for debate. “We did follow a pattern and there is a basis on which the teams were selected. It was to throw open equal opportunities to all and bring in fresh and young blood into the game,” IHF president KPS Gill said. On the positive side, PHL turned out to be a big boost to Indian hockey as money, exposure and media coverage, all packed in a carnival like atmosphere, prevailed during the month-long event which also attracted foreign players. It is true that Pakistani players — Sohail Abbas, Wasim Ahmed, Ahmed Alam, Ali Raza and Kasif Jawad besides Spanish skipper Juan Escarre and Kuhan Shanmuganathan of Malaysia did excel in the field and at times overshone home talent. Len Aiyappa emerged as the player netting most number of goals (8) followed by penalty corner specialist Sohail (7). Incidentally, both the players scored hat-tricks in Tier I competition. Presence of Abbas and custodian Ahmed Alam provided a big boost to the Dilip Tirkey led Sultans who also had in their ranks Inderjeet Singh Chaddha, Ajitesh Rai, Samer Dad and Susan Topno — all of whom had a good time during the tournament. Gagan Ajit Singh slipped to mid-field in the tournament with Deepak Thakur and Prabhjot Singh providing some fast paced solos, Dhillon brothers — Baljit and Daljit — besides Deedar Singh provided a good combination to the men from north but their loss to hosts in the opening match proved costly. The valour of Maratha Warriors fell short of the needed target as the Viren Rasquinha team ended up third. Their main custodian Adrian D’Souza fell sick after the first match in PHL, but his deputy Baljit Singh did a commendable job under the bar. Dhanraj Pillay proved he still has some steel and excelled in the mid-field. Pakistan players Ali Raza, Jawad and Mohammed Saqlain played well for Marathas. Arjun Halappa-led Bangalore Hi-Fliers had their wings clipped and played below par. Despite Aiyappa scoring well and ‘keeper Bharat Chetri proving top class, the side failed to advance. Main strengths Sandeep Michael, Tushar Khandekar and Shanmuganathan couldn’t convert their talent into points. Border Security Force (BSF) clinched the title of 2nd Jagbir Jaggi Hockey Tournament by defeating Corps of Signals, Jalandhar 3-0 at Col Kehar Singh Stadium at Khusropur village near here today. The final was played on very fast note right from the beginning. Both the teams made some hostile attempts to open their account in the first half, but to no avail. In the second half, the BSF dominated the proceedings leaving no chance for the rivals to respond in an effective manner. They struck thrice in a span of 10 minutes. The scorers were M. Tirkey in 38th minute, M. Lakra in 41st minute and H. Topno in 46th minute (3-0). Sania Mirza, who won her maiden WTA title in Hyderabad, broke into the top hundred in the world ranking released by the Women's Tennis Association today. Sania, who was 134th last week, jumped 35 places to 99th in the latest world rankings following her historic triumph on Saturday. American Lindsay Davenport occupied the top spot while French star Amelie Mauresmo displaced Australian Open champion Serena Williams from the second rank. The 18-year-old Sania, who had set herself a target of making it into the top 100 at the beginning of the year, had a sensational start to the season when she became the first Indian to reach the third round of a Grand Slam at the Australian Open last month. New Australian captain John Alexander said the world 10th-ranked Molik has made herself unavailable for the April 18-24 Asia/Oceania Group One qualifying matches in New Delhi. The top-seeded American never faced a break point as he controlled the match yesterday with his mighty serving, huge forehand and aggressive returns. Roddick broke Saulnier in the opening game and never looked back. The Frenchman raised his game in the second set without managing to get a grip of his opponent’s serve. Roddick broke to lead 2-1 when Saulnier missed an easy forehand pass and he won the final game to love by ripping a winner down the line. Roddick had 23 winners, nine of which were aces, and made only eight unforced errors as he claimed his first title since he won in Indianapolis last July. The 22-year-old Roddick has a 10-1 record this year, his only defeat coming against Lleyton Hewitt in the semifinals of the Australian Open. Roddick is the first back-to-back winner here since Australian Mark Philippoussis in 1999-2000. BUENOS AIRES: French Open champion Gaston Gaudio won his second tournament in a week when he beat fellow Argentine Mariano Puerta in the Buenos Aires Open final. The claycourt specialist won 6-4, 6-4 as he followed up last week’s win in Vina del Mar, Chile, with another title on Sunday, his first on home soil. Puerta, a wild card entry who returned to action last year after serving a nine-month ban for a doping offence, had beaten top seed Carlos Moya on way to his first ATP final in five years. Puerta failed to threaten Gaudio’s serve in the first set, when a break in the fifth game was enough for the second seed. The second set was more evenly balanced. Gaudio became increasingly frustrated with the crowd noise and his mistakes while his opponent grew in confidence. But three unforced errors by Puerta in the ninth game allowed Gaudio to break serve and opened the way for him to clinch the fifth singles title of his career. PARIS: More commonly known as the little sister of two-time Grand Slam winner Marat Safin, Russian teenager Dinara Safina came of age when she lifted her first major title at the expense of world number four Amelie Mauresmo at the $ 585,000 Paris Indoor Open. The 18-year-old Safina was playing in just her fourth final after previously winning lower tier events in Sopot in 2002 and Palermo in 2003, and being runner-up in Luxembourg in 2004. But the 48th-ranked player’s 6-4, 2-6, 6-3 disposal of second seed Amelie Mauresmo of France in 2hr 20min in front of her home crowd confirmed the growing mental strength which indicates things to come. Like the last match against Kolkata’s Tollygunj Agragami, Mahindra once again miffed easy chances and had to be content with splitting points with JCT. The match started with both teams playing percentage football with neither wanting to give the upper hand to the other. However, the deadlock was broken in the 15th minute when JCT’s Harprit Singh headed home to put his team ahead 1-0 following a flag kick. Stung by the reversal, Mahindra attacked in droves and were rewarded two minutes later when Abhishek Yadav rose above the defence to head home a flag kick taken by Jatin Bhist and even things up. This goal spurred the Jeepmen and they made move after move into the rival citadel. In the 30th minute, following another flag kick, Abhishek Yadav’s header went just wide of the bar and then in the 37th minute, K. Koluthungan took a shot from top of the box but was well saved by Mansuru Mohammed who palmed it away to safety. The second half also saw Mahindra on the ascendancy and their best chance came in the 56th minute when Rodrigo De Almeida put through Jatin Bhist from the left flank but the shot by Bhist was saved by the JCT goalkeeper Mansuru Mohammed. Rodrigo De Almeida then had a chance to put Mahindra in the lead in the 74th minute but he shot wide with an open goal after receiving a back pass from Steven Dias. The tournament will witness the likes of Gaganjeet Bhullar, Simarjeet Singh, Amarbir Singh Lehal, Amardip Singh Malik, Manav Das and Keshav Misra, among other top amateurs vying for supremacy. With two events to go on the 2004-05 season, inclusive of the Samarveer Sahi event, the Royal Challenge Indian Golf Tour is poised for an exciting finish. Nine winners have emerged from the last 10 events that have been played so far with Gaganjeet Bhullar being the only one to have won twice on the tour. Bhullar who is currently leading the Royal Challenge Golf Tour’s order of merit will be looking to the Chandigarh event for the third title in his kitty. The Kapurthala boy won the Eagleton Amagteur in August , 2004, and followed it up with the Western India Amateur in January this year. The path to the top will not be easy, There will be stiff competition from thrice Sri Lankan Amateur winner Simarjeet Singh (Noida) and the defending champion Manav Das (Ambala). Chandigarh’s A.S. Lehal, placed third in the order of merit, is in roaring form and will provide the local challenge along with H.S. Kang. 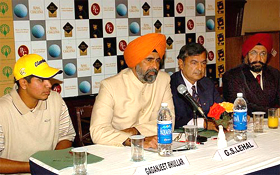 The press conference today was addressed by three offials of the Chandigarh Golf Club and the media representative from Tiger Sports. The tournament is being played in memory of Samarvir Sahi, one of the country’s leading amateurs who died of cancer in 1994. Also at the Press conference was the father of Samarvir, Mr G.P.S. Sahi, former Principal Secretary to the Punjab Govt. He said Samarvir formed a foursome along with Jeev Milkha Singh, Harmeet Kahlon and Amandeep Johl . Mr AKMA Shamsuddin, President of Shaw Wallace, said the Royal Challenge was thrilled to sponsor the Samarvir Sahi memorial golf event. “We as the tour sponsors hope to provide the perfect platform to the golfers to hone their talent and later showcase it on a world stage”, he added. Top junior boxers of the country will participate in the third All-India B.D. Chandiwala Junior Boxing Championship to be held at the Chandiwala Sewa Smarak Trust complex in South Delhi from February 16 to 20. The Trust has built a boxing hall with two rings, and over 250 boxers are expected to participate in the championship recognised by the Indian Amateur Boxing Federation. 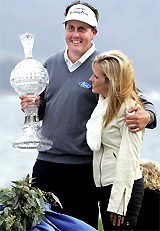 The main attraction of the championship is the attractive prize money on offer for the medal winners. The gold medallist will receive Rs 7,000 while the silver medallist will be awarded Rs 4000. The semi-finalists will take home Rs 3,000 each. The previous two editions of the championships were held at the Indira Gandhi indoor stadium, but this time the hosts opted to shift the event to its own venue to provide better facilities to the participants as it has also boarding and lodging facilities. A fine all round performance by Reema Malhotra (49 not out and four wickets) helped Delhi score a thrilling 10-run win over hosts Tamil Nadu and finish third in the Senior National Women’s Cricket Tournament for the MNM Jain Engineering College trophy here today. In the losing semifinalists match, Delhi, batting first, scored 166 for seven in 50 overs with Rajni Sharma (53, 8x4) emerging as the top scorer, followed by Reema (49 not out, 6x4). Tamil Nadu started their chase on a blistering note with Kamini (36, 8x4) and Tejashree (35, 6x4) adding 69 runs for the opening wicket. Once they were separated, the rest of the batswomen collapsed like a pack of cards and the hosts were all out for 156 in the last ball of the 50th over. The Delhi bowlers bowled to their field and maintained a tight line to force the Tamil Nadu batswomen to commit mistakes. (From right to left) Argentine tennis player Gaston Gaudio, former great tennis stars Gabriela Sabatini and Guillermo Vilas, pose for a picture after Gaudio won the match against Mariano Puerta during the final of the ATP tennis tournament in Buenos Aires, Argentina, on Sunday. Gaudio won 6-4, 6-4. NEW DELHI: Judokas from all South Asian countries will assemble in Indore to participate in the South Asia Judo Championships to be held at the Basketball Indoor Stadium from February 26 to 27. As many as 58 judokas, including 23 women, would feature in the competition, though Afghanistan and Pakistan will field only their men’s teams, a press statement said here on Monday. India will field a team of seven men and an equal number of women in the six-nation event. Experts from Japan, Korea and Chinese Taipei would be present during the competitions to be held in six weight categories. 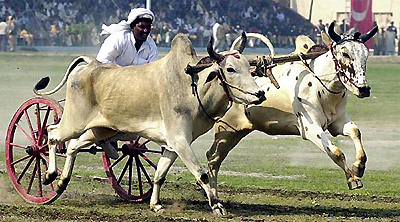 Other participating nations include Bangladesh, Nepal and Sri Lanka.